((SL Advertiser)) People of the Way Ministries celebrates the people and businesses that make this great community, and you're invited. 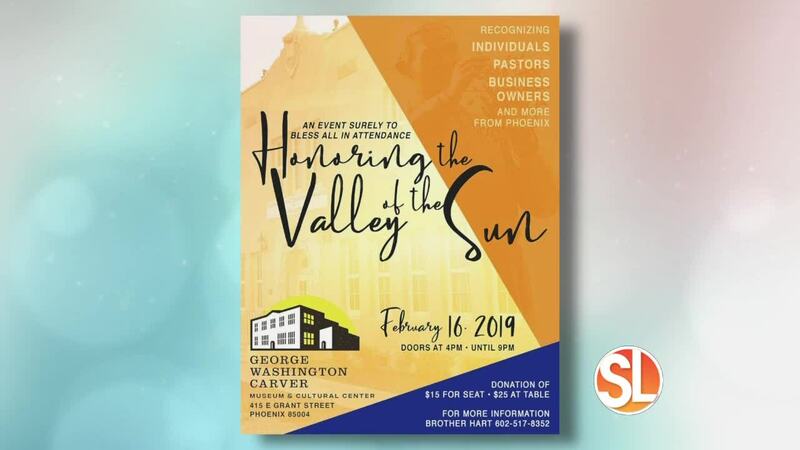 You are invited to an evening of celebration honoring our community by recognizing local community organizations, individuals, pastors, and business owners, from around the valley of Phoenix for their contribution to community. Your support will promote future events at George Washington Carver Museum and Cultural Center, and give tribute to and raise awareness of local community organizations and individuals. The evening will include special vendors, appetizers, musical entertainment, special historical photographs, and award presentations. Special MCs Roslyn Williams and Mya Fiarri will entertain us. Danny White will present the honors and recognitions as well as Reign who will keep you laughing with her amazing humor. Cecil Holden, Hard Fighting Soldier is high steppin as DJ / MC. Karen Scott, Stage Manager, keeps the program moving. Sylvia Bonner of Lynn's Catering will delight us with appetizers. Special historic pictures for future use by GWCMCC taken between 4:15 - 4:45 so everyone try to be there to be included. 501c3 public service organization and all donations may be tax deductible.